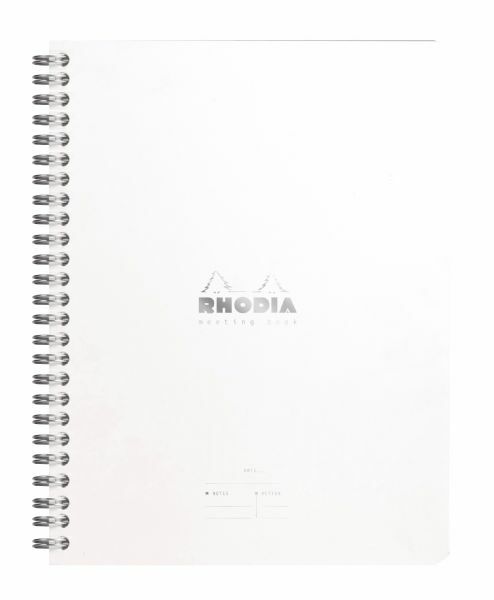 Rhodia Ice MTG Book 6" X 8"
This 6 by 8 inch Rhodia Ice pad features a sleek white cover with the Rhodia logo embossed in silver. * Each pad includes 80 sheets of smooth 80 g paper with muted silver-gray lines and a hard cardboard back for writing support. 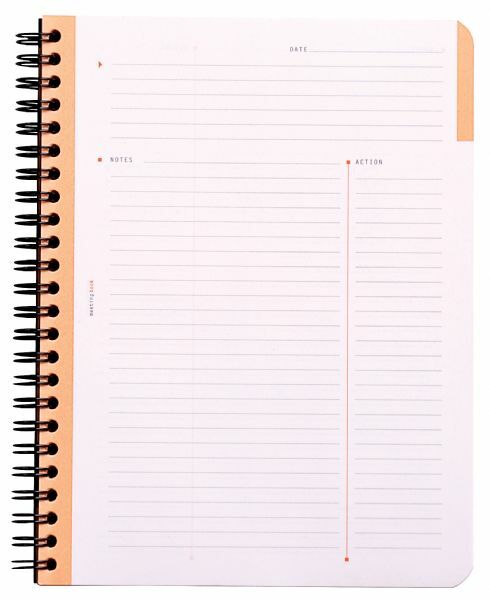 * Both pH neutral and acid-free each page has a smooth finish and is micro-perforated for easy removal. * The stapled cover folds back giving a clean presentation. 8.25" x 6.5" x 0.36"